Forward Pinellas, as the metropolitan planning organization for Pinellas County, is responsible for developing and maintaining a 20-year long range transportation plan (LRTP). Every five years, Forward Pinellas updates the LRTP. The current 2040 LRTP was adopted in 2014. 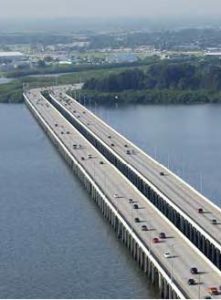 The LRTP evaluates the operations and capacity of the area’s transportation system and identifies improvements and associated costs needed to meet the current and future needs of Pinellas County. The transportation system addressed in the LRTP includes the major road network, bicycle and pedestrian facilities and transit services. The long term needs for these facilities and services are determined by evaluating projected conditions and trends affecting population and employment growth and land development activity. The LRTP also includes goals, objectives and policies that guide decision making affecting transportation in the County and region. Forward Pinellas also produces a companion LRTP summary that presents an abbreviated discussion of improvement needs and costs, available transportation project revenue and socioeconomic trends. The Countywide Plan for Pinellas County (CWP) guides land use planning among the 25 local governments and partner agencies in Pinellas County. The CWP supports redevelopment, directing higher-density redevelopment into activity centers and multimodal corridors that can support a variety of transportation modes, while preserving and enhancing the suburban character of established neighborhoods. It also protects land needed to support employment, helping to keep high-wage jobs in our community. The development of the CWP was closely coordinated with the LRTP and planned investments in the transportation system. The Countywide Rules, which contain regulations governing implementation and amendment of the Countywide Plan Map. 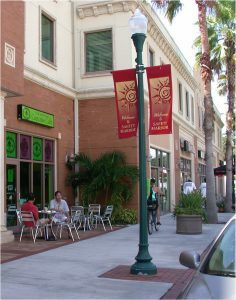 The updated LRTP and CWP are the result of a nearly four-year collaborative process between Forward Pinellas and all 25 local governments, along with our partner agencies, community stakeholders, advisory committees, and the Board of County Commissioners in their role as the countywide planning authority. The plans build on more than a decade of outreach to citizens and the business community about their vision for the future of our shared Pinellas community. The network of activity centers and multimodal corridors envisioned by the LRTP and CWP will provide for more transportation and lifestyle options, keeping the county attractive to businesses, workers, and visitors. Compact development, mixed uses, and interconnected streets will allow for convenient walking, bicycling, and transit use, creating places of special value to the community and providing new mobility options. More information about coordinating local land use plans with the CWP can be found on our Consistency and Map Amendments page.